Several music festivals take place in the United Kingdom throughout the year. These festivals are a chance for both established and aspiring artists to display their talent, and give a musical treat to their fans. While these events maybe a great source of entertainment for visitors, the organisers have to consider the finer details to make them a success. 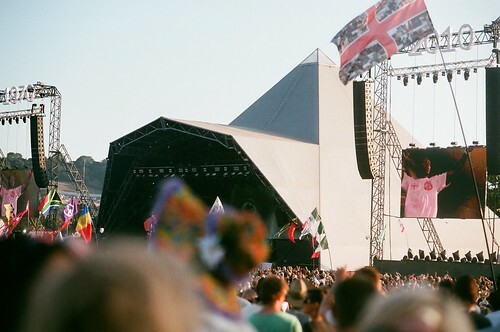 The Glastonbury Festival is a well-organised event, attracting up to 170,000 fans. Held for the first time in 1970 and previously known as the Pilton Festival, Glastonbury has grown into a mega event. Held every year at Worthy Farms, the Glastonbury festival is one of the best organised musical events in the UK. The festival attracts musicians from all over the UK. The Pyramid stage, acoustic tents, circus and comedy tents are some of the main attractions during the festival. As the event attracts an audience of up to 170,000 music lovers, organisers have to look into every aspect of event management. The organisers make hectic efforts to mobilize participants, volunteers and authorities for the festival. Since 2002, the firm Festival Republic has been in charge of the event’s security and logistics. Another company, called Left Field, organises and manages all work related to setting up of stages across Worthy farm. Oxfam, a well-known non-governmental organisation, provides the support of around 1400 stewards for the event. Beer bars during the event are sponsored by the Danish-company, Carlsberg. Local companies provide catering and retail services, while food stands also serve food to vegetarians. The tardis-style portable toilets, ‘long drop’ toilets and a limited number of deluxe toilets are available at the festival site. Urinal and hand-washing facilities, staffed by WaterAid, are also easily accessible by the visitors. Hygiene at these toilets is maintained by a staff of about 300 cleaners and several Environmental Health students. The V Festival is a highly secure and enjoyable event. The V Festival, organised on an annual basis by the Virgin Media group, kicked off as a one-day event at Warrington in 1996. Since then, the V Festival has become one of the UK’s most popular and best attended musical events. It has become a four-day event, attracting huge crowds of up to 80,000 people. Held in Staffordshire, SJM’s V Festival is a highly safe and enjoyable experience as the visitors can also camp at the location. The organisers develop the town’s infrastructure to support the influx of music lovers from neighbouring towns. G4S, a full crowd management service company, provides an estimated 600 stewarding and security staff. Ticket checking, campsite patrols, safety and security stewarding, access control and protection for VIP areas and backstage are some of the other services provided by G4S. Food and market stalls at the V Festival are set up by Central Catering Services Ltd. Alcohol and beer can be purchased by people above 21 only from any of the several bars located near the festival site. Visitors are allowed to bring their own water and soft drinks to the event. Visitors are also provided toilets and warm shower facilities in the campsites and arena. This article was produced by Griffin Toilet Hire. Click here to visit their site.